Monthly news for bird lovers! Here at the Foundation, we work hard to hone our sensitivity to bird body language. There are a number of natural “comfort behaviors” we look for to make sure that the birds who live in our care are happy and healthy. These are behaviors that birds perform when they feel safe. In the wild, an animal might be vulnerable when he or she eats, bathes or preens, makes noise or is otherwise exposed. 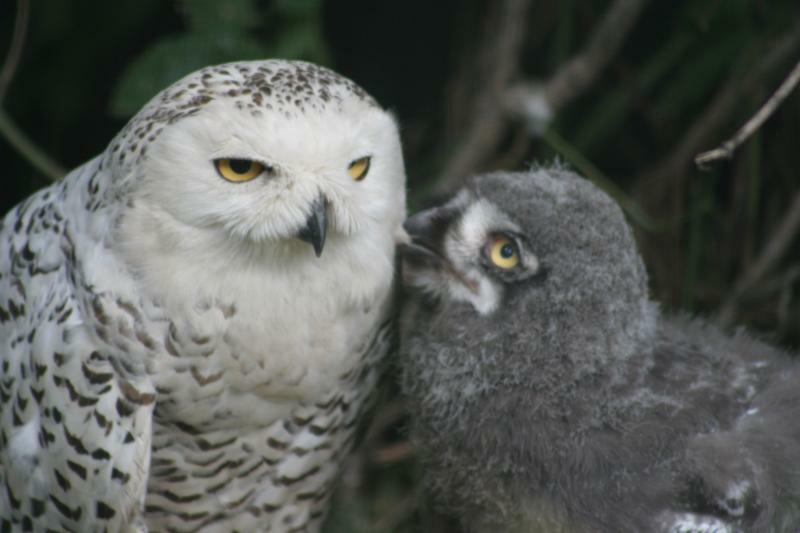 When we see our feathered co-workers behaving this way, we know they feel safe and comfortable. 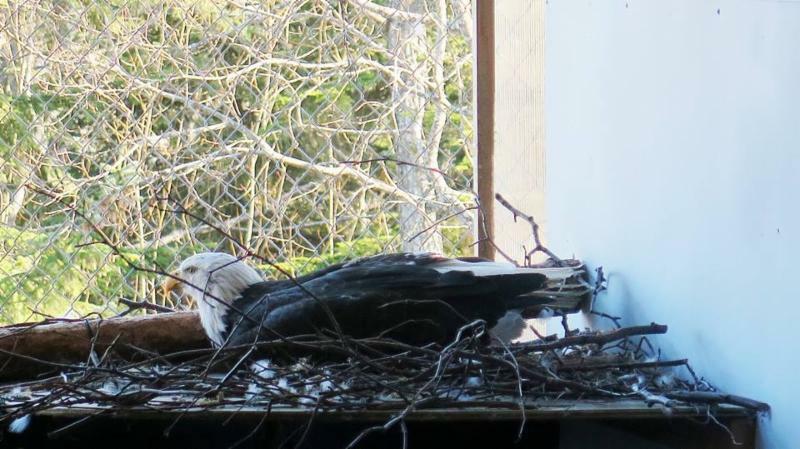 This Spring, staff at the Foundation was excited and gratified to see Vega, an adult female bald eagle, perform a very special comfort behavior- building a nest! With occasional assistance from Bella, who shares her enclosure, Vega moved nesting material provided by staff up to the platform in her enclosure and constructed a nest. She spent weeks rearranging limbs and twigs and lining the space with mosses and lichens. These weeks of hard work culminated in Vega laying three eggs in her nest. While these eggs were not fertile, Vega demonstrated a high level of comfort in her enclosure by spending her time sitting on them as she would with a clutch of eggs in the wild. This gave guests an amazing opportunity to observe a natural behavior that very few get the opportunity to see in the wild. You can learn more about bald eagle nesting and breeding here. Cruise ship season is just around the corner, and as our busy summer approaches, so does the arrival of this year’s ABEF interns! Each year, the Foundation welcomes six bright young men and women to participate in our internship program. The application and selection process is highly competitive, and we are excited to welcome six well-qualified new interns. Interns participate in all aspects of daily operations from diet preparation to aviary tours as well as taking daily classes with staff. 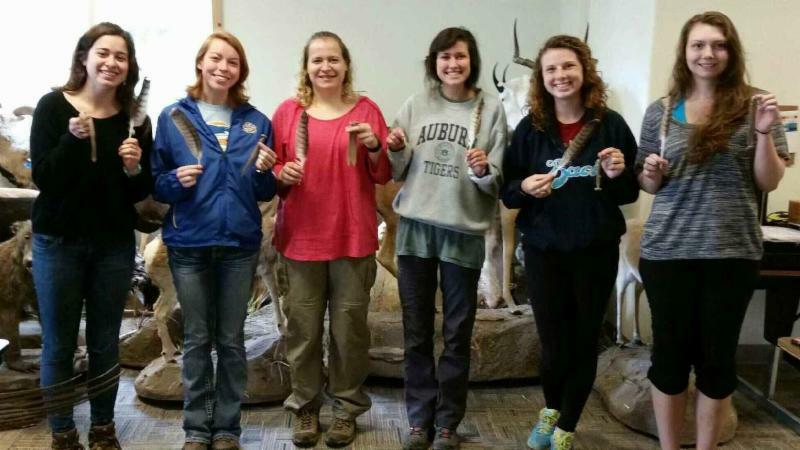 Mary Kate Cullen is an animal ecology major at Iowa State University where she is a sophomore. Jacob Garner is double majoring in conservation biology and anthropology at Warren Wilson College In Noth Carolina where he is a junior. Bailey Higa is a senior at UC Davis where she studies wildlife, fish, and conservation biology. Bailey is an extended intern who will be working with the Foundation through the November festival. She will be joined in the extended program by Erin Mihlbachler, a communications and global environmental sustainability major recently graduated from Colorado State University. Jacob Shurba is a junior at the University of Wisconsin - Stevens Point, where he studies wildlife ecology management and research. And finally, Jennifer Sleeman, a senior studying wildlife biology and rehabilitation at Less-McRae College. Stay tuned in the coming months to learn more about these six new members of the ABEF team. You can check out details of our internship program here. The staff of the American Bald Eagle Foundation, or Ea-Gals, went bowling for kids this April. The Haines chapter of Big Brothers, Big Sisters held their annual bowling tournament at the Haines High School and our team showed up in true form. 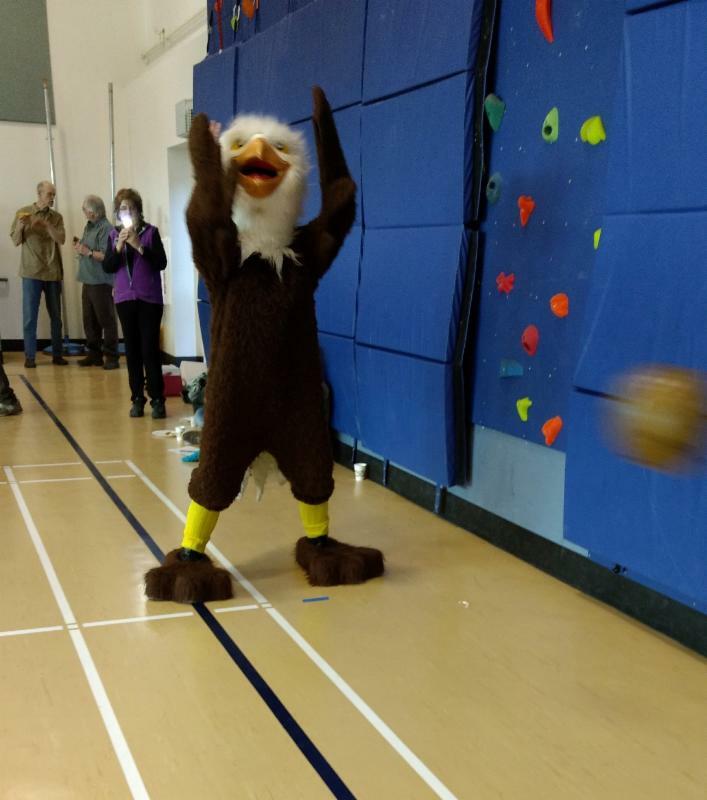 An enthusiastic staff member donned the eagle suit and became our crowd-favorite mascot, Chilkat the Eagle. Our team consisted of executive director, Cheryl McRoberts, education and outreach coordinator, Sidney Campbell, museum coordinator, Katelyn Dickerson, raptor handler, Ashley Santiago, and the winter intern, Arthur Gal. Unsurprisingly, Cheryl blew everyone out of the water with her killer bowling skills, winning the round with 114 points. Due to restrictions caused by being an eagle, Chilkat only reached 39 points, though her enthusiasm and dance moves were contagious. This year the Big Brothers Big Sisters of Alaska raised almost $190,000 for the Bowl for Kids’ Sake event. Along with Haines’ bowlers, teams from all across the state came together to fundraise for this event and this great cause. 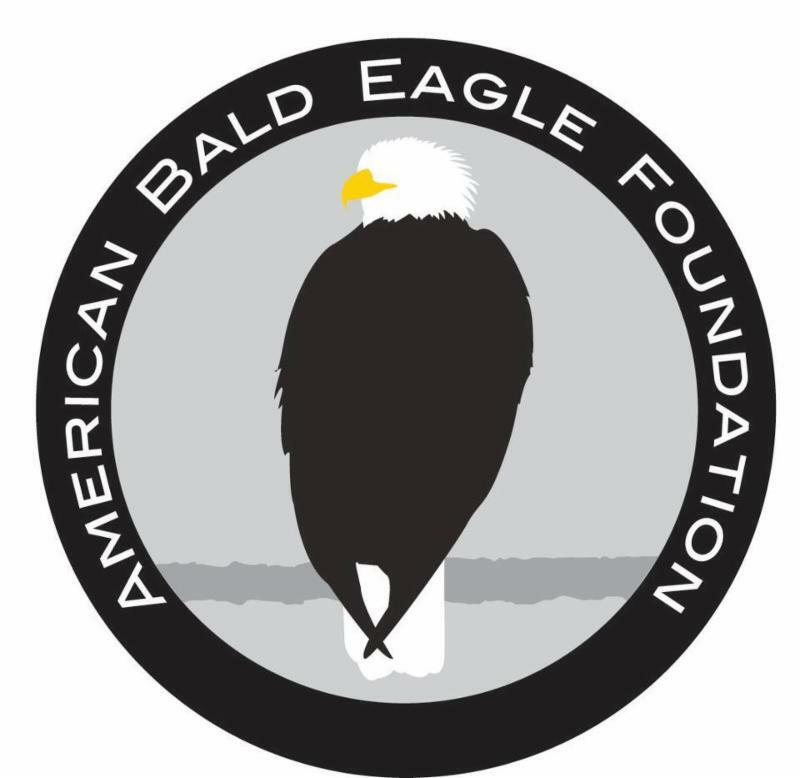 The Ea-Gals of the American Bald Eagle Foundation were pumped to both wiggle our tail feathers and help out such a wonderful organization. Mother's Day is right around the corner! On Sunday, May 14th, give the special mothers in your life the gift of sponsorship. Sponsor one of our twelve beautiful avian ambassadors in her name and she will receive our usual sponsorship package (a collectible eagle stamp and print, a subscription to our newsletter, and a certificate featuring the sponsored raptor) and a special promotional Mother's Day nesting eagle print. Use the code Mommabird when you check out and receive a 15% discount!